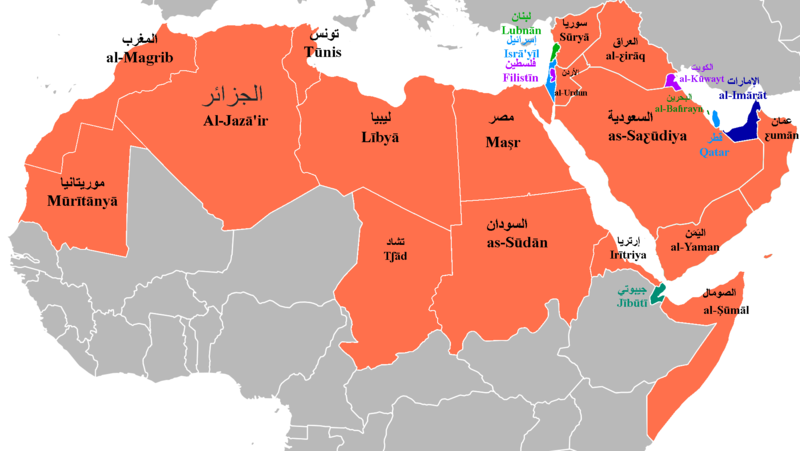 The map above shows the names of Arabic speaking countries in Arabic with romanizations to help those who don’t actually speak Arabic. Interestingly, most are quite different from the English name for the country. Are science and religion doomed to conflict with each other? Looking at the map above, it seems that for the time being, in many countries, science and religion remain at odds. You’d think something as common and important as writing dates would be standardized by now. And in fact it is, ISO 8601 sets the international standard for writing dates as YYYY-MM-DD. 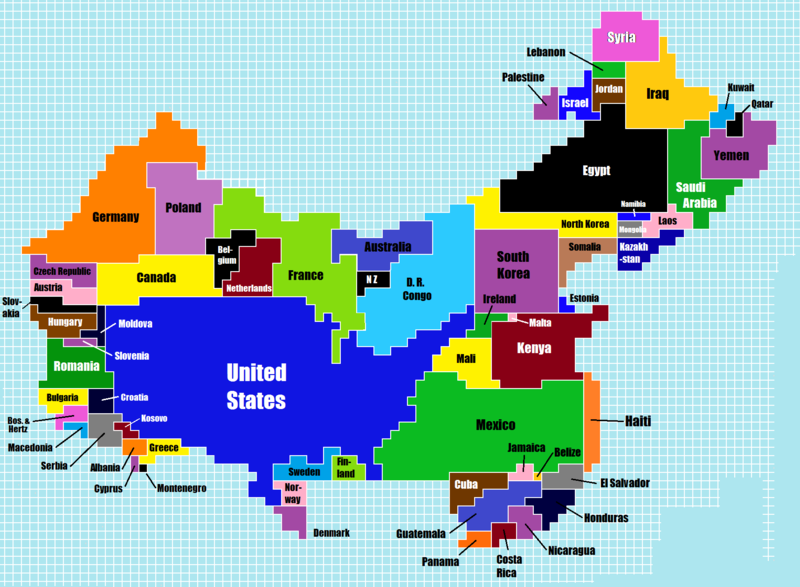 Ever fantasized about running your own country? How about naming one after yourself? 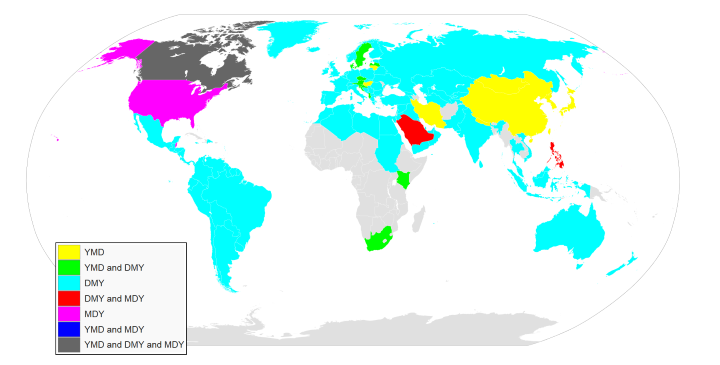 As the map above shows, a select group of individuals have achieved a degree of immortality due to countries being named after them. 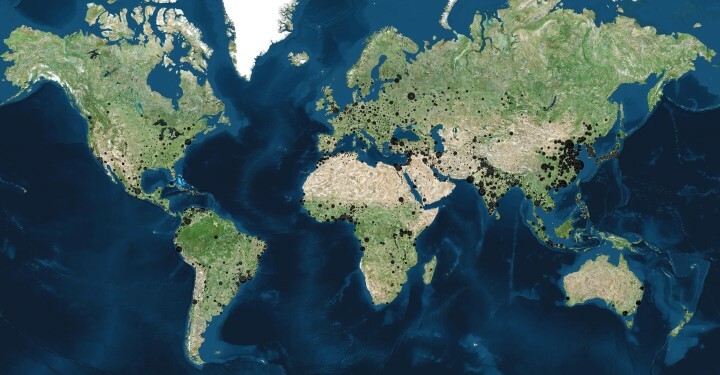 TeaDranks, creator of the widely popular World Population Cartogram, is back again with 4 new population inspired maps. 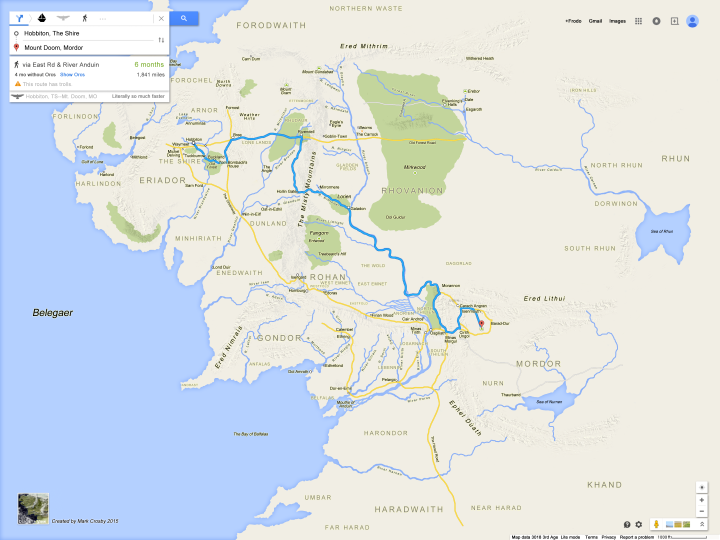 If Sam and Frodo had had this Google Map of Middle Earth, their journey would likely have been a lot easier than the one in the Lord of the Rings. Created by Mark Crosby the map has all sorts of wonderful additions. Ever think London’s tube map looks confusing? Now imagine trying to use it, but you couldn’t easily distinguish between the colours of each line. Well for hundreds of thousands of colour blind Londoners, this is their reality each and every day. 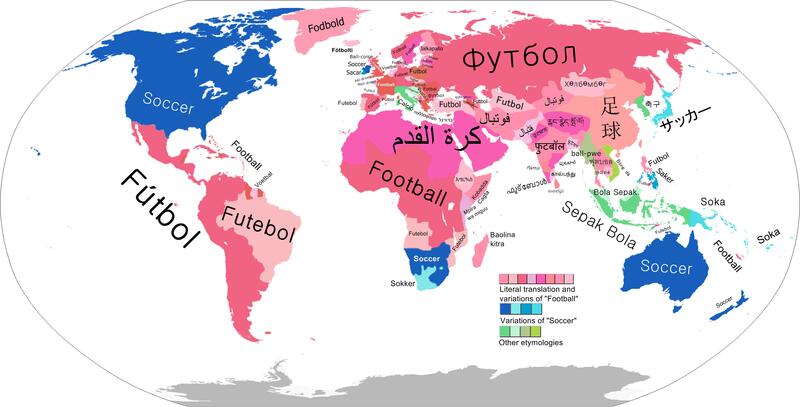 Depending on where you live, football and soccer can refer to completely different games. For example, in America football refers to American football whereas in the UK it refers to association football, which in America would be called soccer.